Proud to be Vancouver’s only AAA Five Diamond Hotel. Set in the heart of the city, Shangri-La Hotel, Vancouver is strategically located for sightseeing and shopping – only steps from Robson Street, Burberry, Herms, Tiffany, Louis Vuitton and Gucci, plus, only a few blocks away from the Cruise Ship Terminal – where complimentary luxury car pick-up or drop-off is available to all Virtuoso guests! This 119-room luxury hotel occupies the first 15 floors of a 61-storey landmark building, the tallest in the city. 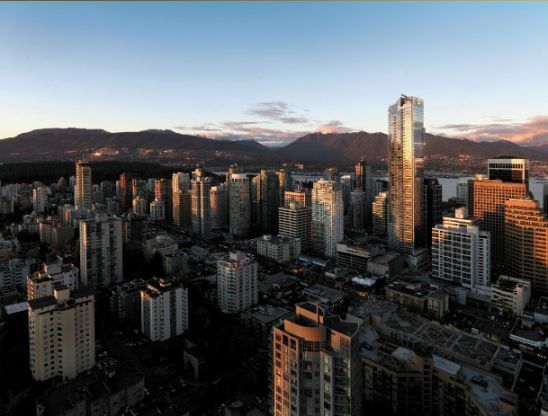 Guests at Shangri-La Hotel, Vancouver will find over-sized luxurious guestrooms and suites including Vancouver’s largest entry rooms starting at 450 sq. ft., all decorated in a contemporary Asian style, with many rooms featuring private balconies and stunning views of the city. Floor-to-ceiling windows provide ample natural light. Rooms and suites range in size from 450 to 1,395 square feet. Amenities include a Health Club measuring 5,000 sq. ft. including Vancouver’s most extensive hotel Fitness Centre, an outdoor heated pool and hot tub, as well as CHI Spa – Shangri-La’s signature spa brand. Chef Jean-Georges Vongerichten, winner of three Michelin stars, debuted in Canada with Market by Jean Georges restaurant – available for breakfast, lunch, and dinner. Plus, our popular lobby lounge – Xi Shi features live music daily, lunch, dinner, afternoon tea service, and signature cocktails. Contact us today to take advantage of this great offer!